This fun project is already in use at our house. It's on the coffee table and a quick game of tic tac toe can be played at any minute. 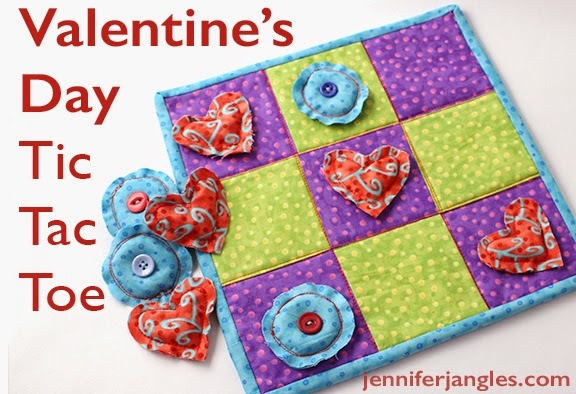 Here's how to sew this one up just in time for a Valentines gift for your sweetie. First, I made the game board and to do this, I basically made a mini quilt. 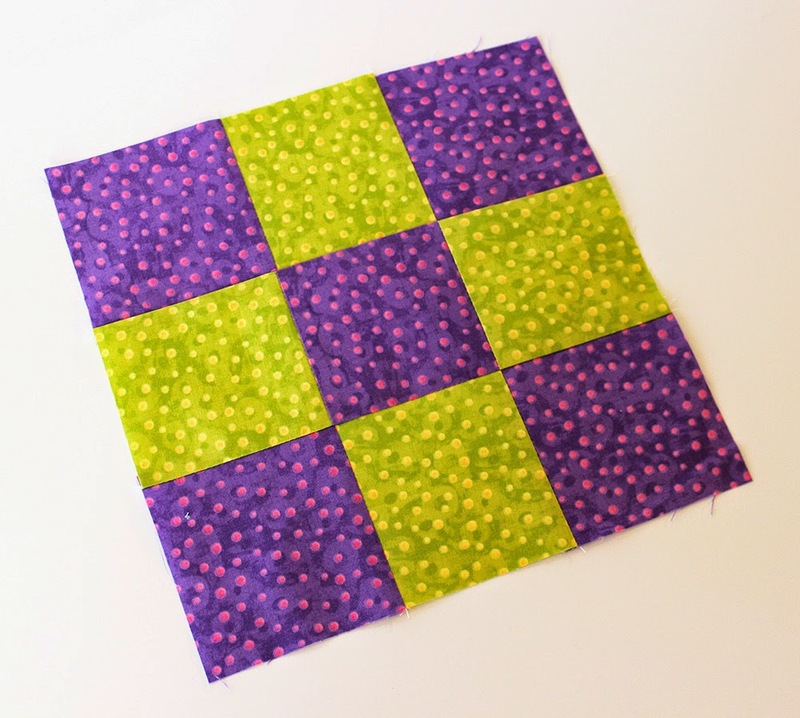 Sew up a nine patch quilt block using 3 1/2" squares. Make a quilt sandwich with batting and backing and quilt it. I chose to quilt mine in a sort of a "off to the sides back and forth stitch in the ditch" method. I'm not one for straight lines but I wanted to keep it looking like a tic tac toe board. Add some binding and you're finished with the board. You need five of each game piece to make sure you have enough if there isn't a winner right away. 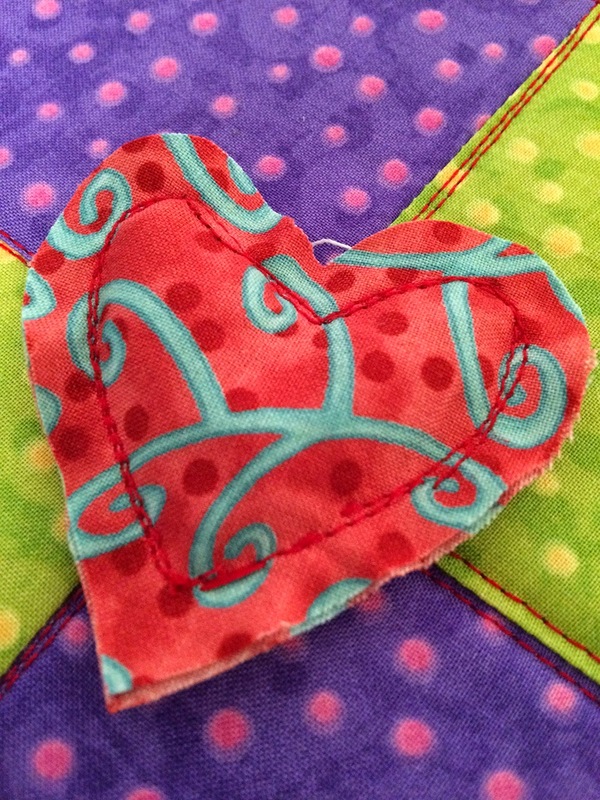 You can find printable pattern pieces here for the heart and circle. I even included a 3 1/2" block just in case you're new to quilting and don't have a ruler. Cut five sets of hearts and five sets of circles. 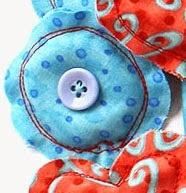 Sew around the outside using a 1/4" seam. 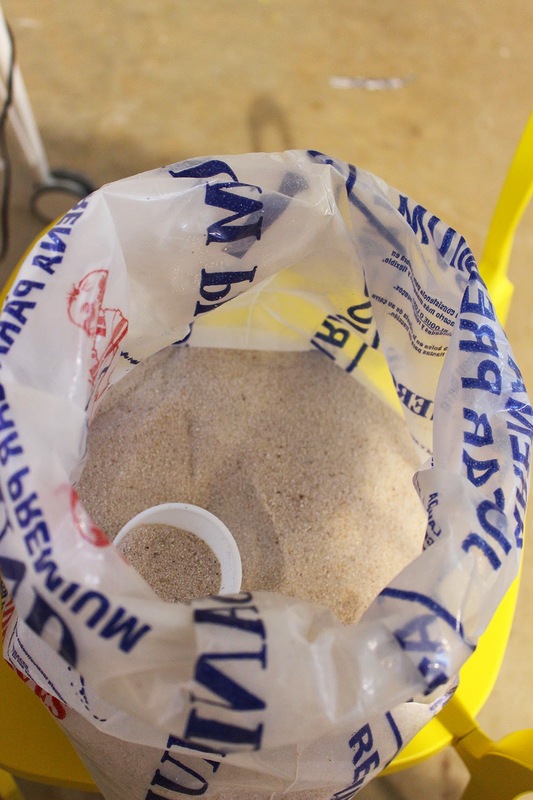 The bags can be filled with fiberfill or sand. I chose to use sand to have some weight. 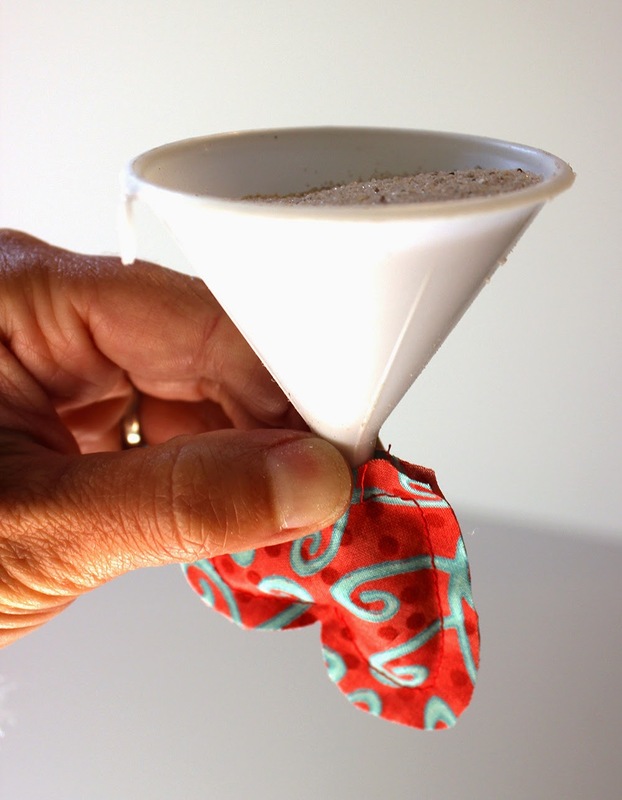 I keep a bag of sand in my studio with a little funnel for projects just like these. Once they are filled up hand stitch the opening closed. Don't be tempted to do this on your machine, sand will fall out and it won't be good for it. I stitched around the bag a second time as well. Add a button to the center of the circles and you are ready to play! 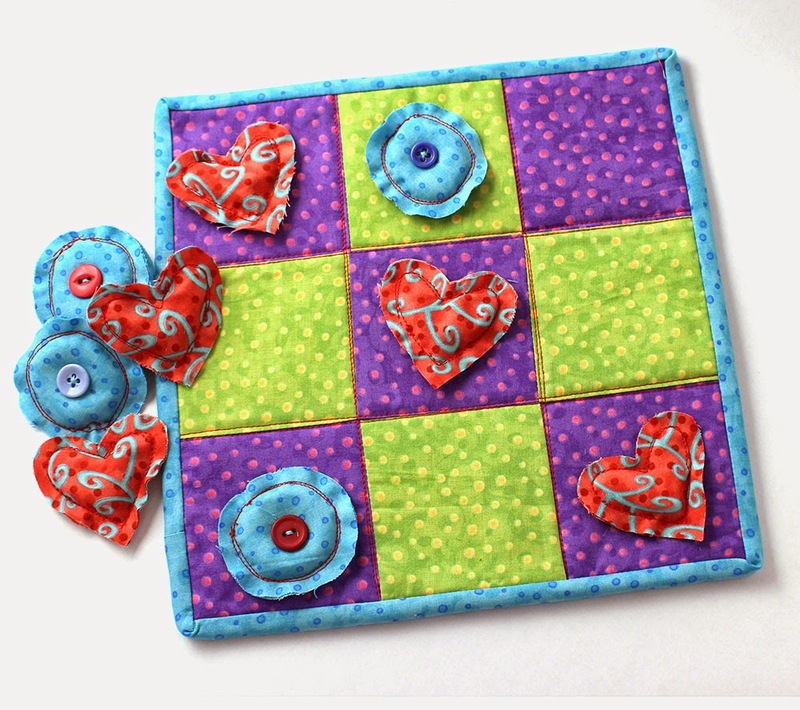 Thanks for sharing the tic tac toe project……. My little grandaughter just loves it. It’s been great therapy for her. (it has built up her self esteem) and she’s has really gotten very good at it. Thank you so much again. What a great little gift to make, just in time for Valentine’s Day. Thanks. My mom used to do a lot of quilting. My sister and my daughter love to quilt also. I have never made one and am excited to use this as my first. I now care for my mom with dementia. And this will be a beautiful, fun easy game to play with her. I may even make some to donate to local memory care facilities.Thank you for such a great idea! This would be perfect for my sister. She is blind. She loves to play games, and the tactile shapes are perfect. Thanks so much for sharing with us! Love your tic tac toe project. Thanks for sharing.